This book is part of the “required reading” list for one of the organizations that we will be working with in January 2014. When they sent me the list I gulped: a couple of books totaling over 500 pages and a 30 day devotional to be completed with the team. It didn’t take me long however to actually get excited about the homework. Here’s an organization that wants me to take their work seriously and they are helping to empower me. Sweet! Joel Brinkley’s book is now on my must read list if you are: going on a missions trip to Cambodia, traveling to see Angkor Wat or just want to learn more about how a nation’s history plays a huge role in the lives of individuals comprising that nation. If you want to read horror story after horror story about Pol Pot and the Khmer Rouge this isn’t the book. Brinkley offers just enough to keep you awake at night but does not dwell on the atrocities. I appreciated that. I only need to read so much about babies being battered against trees. Oh and if you really want to lie awake at night, google “Thong Sophal Phnom Penh Post” to read about an electoral observer who “committed suicide” in 1998. Warning: that’s really graphic. The craziest thought I’m trying to wrap my mind around is the sheer number of Cambodians who have PTSD (nearly half) and are now passing it on to the next generation. Of course they don’t have a psychologist around every corner. Most of them have never even heard of PTSD. And this isn’t the ole UsofA – they don’t have unlimited supplies of zoloft to throw at everyone. We talk of corruption and bribery here in the States because it makes the news….when someone gets sent to jail. In Cambodia the problem is that there is no prosecution. The book is full of tales of corruption at all levels of government. On our last trip I asked if it were ok that I sat up front in the van (motion sickness and all that). Our driver preferred it. Gringo up front meant we just cruised right on past traffic stops. “In 2008….89 percent of encounters with the traffic police resulted in a bribe.” (p.240). Bribery is simply a way of life. Get raped? Better have a bribe ready if you want the police to listen. Want to send your kids to school? Better send them with money. “You go to school and learn how to bribe.” (p.208). Sick? Better have a bribe ready if you want a doctor to help. On previous trips to Honduras and India we have asked patients to make a small donation for their eyeglasses (roughly equivalent to an hour’s wage). It goes right back into their community and gives them a sense of pride. This is where it is so important to work with, and actually listen to, those who are on the ground year-round. 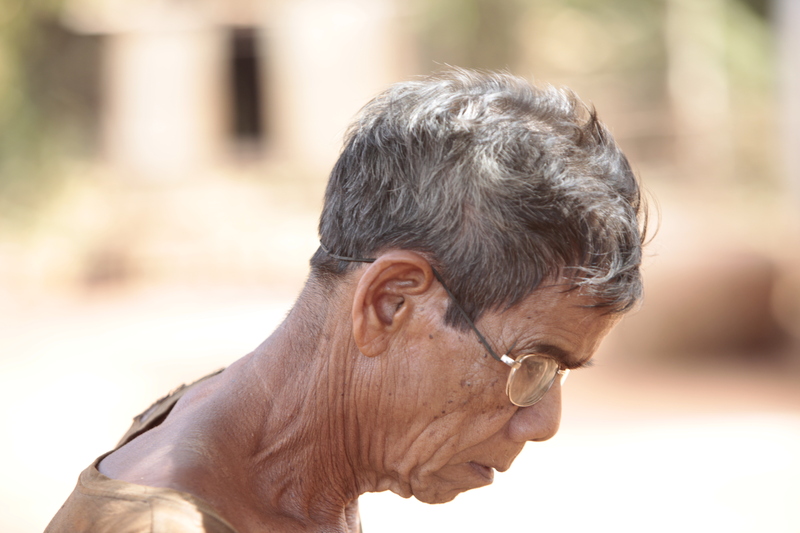 Our missionary in Cambodia, Kevin, said we should simply give away our care. I’m so glad we listened. We want to be different. The one set of eyeglasses I saw in RTK province. Held on by shoelaces. 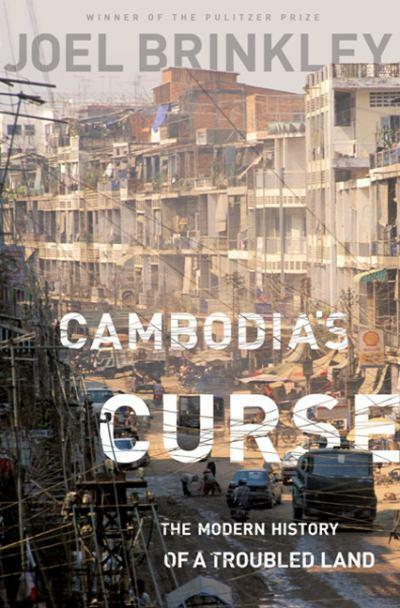 So how will this book affect our ongoing work in Cambodia? Hard to say exactly. It’s like studying the civil war, MLK Jr. and the rice riots of the ’60s in Alabama before going there today. Things change, time marches on and people are individuals but that’s what makes up the culture. And we can never go wrong trying to learn more about other cultures.